As some of you may be aware, Lenovo-owned Motorola was expected to unveil its flagship Moto Z2 and Moto Z2 Force on June 30. However, the company made no announcements on that date. This shouldn't upset the Moto fans as the tweet made by Blass suggests an imminent launch of the Moto Z2 Force in the US. Unlike last year's models, it is assumed that the Moto Z2 Force will be available via multiple carriers. We're about due to a fresh round of high-end Motorola phones, and Evan Blass (aka @evleaks) has today given us a look at two new handsets — the Moto Z2 Force and Moto X4. The Moto X4, rumored to be heading to Google's Project Fi in the U.S., is reported to be an upper mid-tier phone with an aluminum unibody — though it's hard to tell what exactly the back panel is made of in this latest render. In addition to IP68 water resistance, specs are said to include a Snapdragon 630 processor, 4GB of RAM, a 3,000mAh battery and a 5.2-inch 1080p display. For imaging, there's a dual 8-megapixel plus 12-megapixel camera setup around the back. 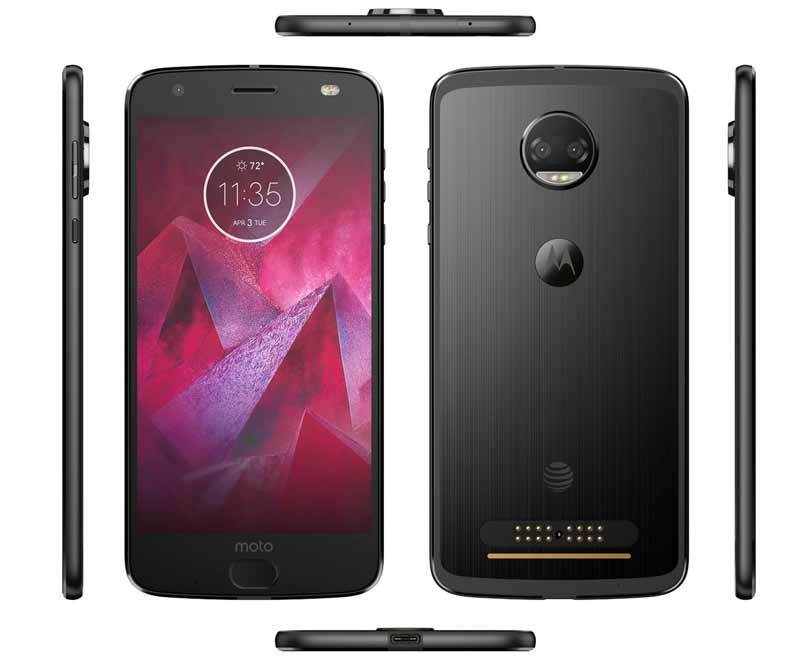 Coming Back to Moto Z2 Force, looking at the image, you can spot the AT&T logo placed just above the Moto Mods accessories connector. So naturally, it should be the AT&T edition of Moto Z2 Force. Earlier reports have stated that the smartphone would be available through other operators as well. It is expected that all the large carriers of the US would sell the Moto Z2 Force. Unfortunately, the leakster has not given us an exact timeline of the launch. Speaking of the design, the rear panel of the alleged Moto Z2 Force holds a slightly protruded dual camera setup. Accompanied by a LED flash below, the sensors are placed in a circular housing. The company's signature 'M' branding is at the center. Up front, the device has a physical home button, which should work as a fingerprint sensor too. It is also worth pointing out that the render shows the phone without a 3.5mm audio jack. On the specs front, the Moto Z2 Force is rumored to arrive with a 5.5-inch ShatterShield display that delivers a QHD resolution of 2560×1440 pixels. Powering the device would be a Qualcomm Snapdragon 835 processor along with 4GB of RAM.